A performance of mesmerising penetration, intellectually and emotionally transcending time and fashion. The philosophy of an erstwhile musician re-ignites. For Edwin Fischer (1886-1960) Bach “towered above the centuries, but to interpret his works aright one must take into account the contemporary scene which was his setting – the religious feeling of his epoch, its symbolism, its close association with the Church.” Not words for our nihilistic, anti-Christian age but they ring many bells with Frederico Colli. Begin at the beginning with the Partita, shorn of all dynamic or tempo markings. Try not to be prejudiced that the introduction to the Overture is neither double-dotted nor repeated. Yet be drawn to the incisive lilt of the fast 9/8 section with individual inflections to the rhythm, then revel in the Courante and Gigue, variety accentuated and articulated to feel the snap of the dance. However, the first intimation of Colli’s inner spirituality is heard in the Allemande – slow of gait, very soft in utterance, atmosphere enhanced by a line that combines ebb and flow with expressive tonal colouration. Ditto the Sarabande and the Andante of the Italian Concerto. 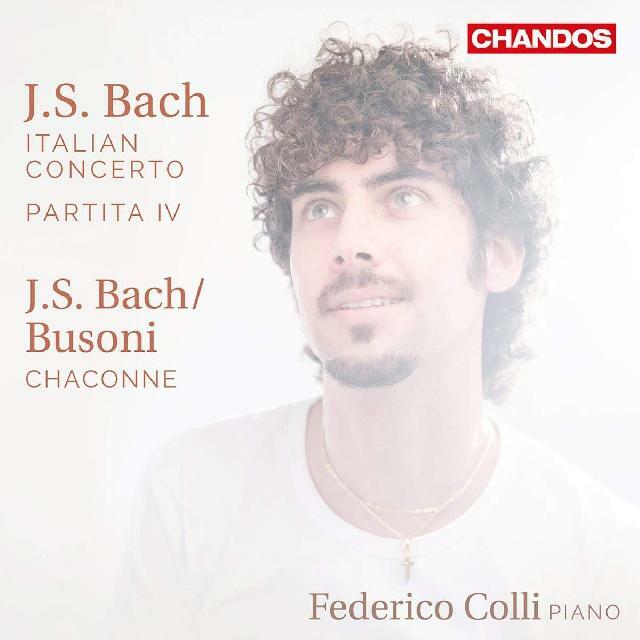 Then from echt Bach, spare of markings, to Bach hair-raisingly transcribed by Busoni with liberal instructions in both Italian and German – the Chaconne. Recordings by Arturo Benedetti Michelangeli and Mikhail Pletnev unleash its physical power. Colli goes further, delves deeply in an unswerving conviction that the mystery of God, from Christ’s childhood to the Crucifixion and its aftermath, is crucially felt through the symbols inherent in the work. And his interpretation of those symbols, as described in the booklet, lifts the music to a sweepingly numinous level, offering a performance of mesmerising penetration, intellectually and emotionally transcending time and fashion. In sum, here is a disc enshrining superlative musicianship. Why wasn’t it released in SACD?